It’s almost Mother’s Day and I do tend to get a bit, err… Over emotional around this time (understatement). My two tiny babies came screaming into the world just a couple of weeks before Mother’s Day 2012 and since then, that Sunday in March has been so incredibly special to me. Of course, I’ve always loved to give my own Mum a treat on that day but for so many years I thought I’d never experience it as a Mum myself. Since I have? I mainly spend the day in a slightly over emotional state wittering on about babies and gratitude and sob sob sob. Give as you Live got in touch with me recently to tell me about their site and if you read my recent post about dementia, you’ll understand why it touched me so much. Give as you Live allows you to raise funds for a charity close to your heart, just by clicking through their site to shop direct with the retailers. Pop over to Give as you Live and register an account (it’s really quick and simple). 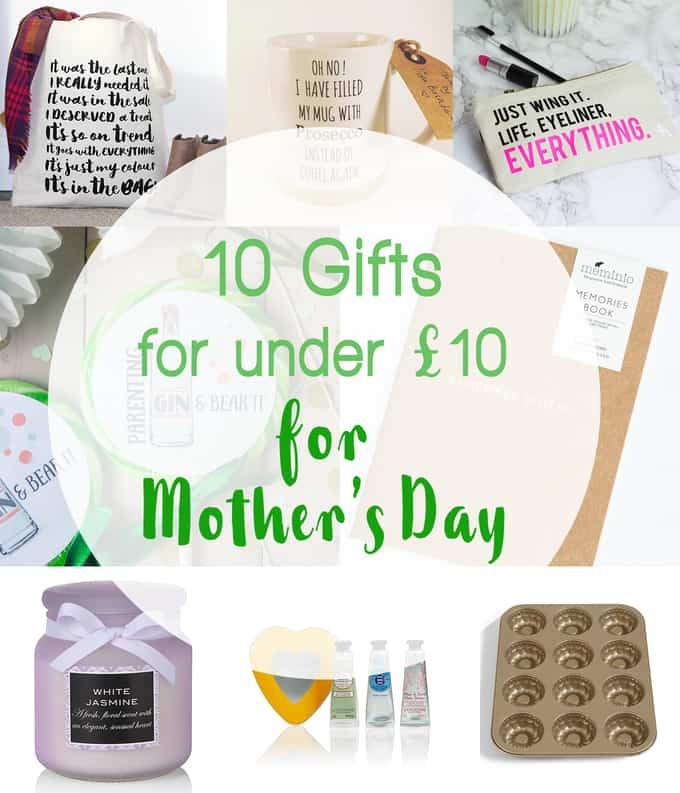 Then, each time you go to shop (Not on The High Street, John Lewis and Etsy are some of my favourites as you’ll see) go via the Give as You Live page. A notice will pop up to say that your visit has been tracked and later on, after your order, you’ll receive an email to let you know how much your purchases have raised for charity – all at no cost to you. They asked me to choose some of my favourite picks for Mother’s Day via their site. Here’s what I ordered and I have raised money for Dementia UK just by ordering through Give as you Live. A delicious giant alcoholic lollipop made with real gin and flavoured with subtle elderflower. 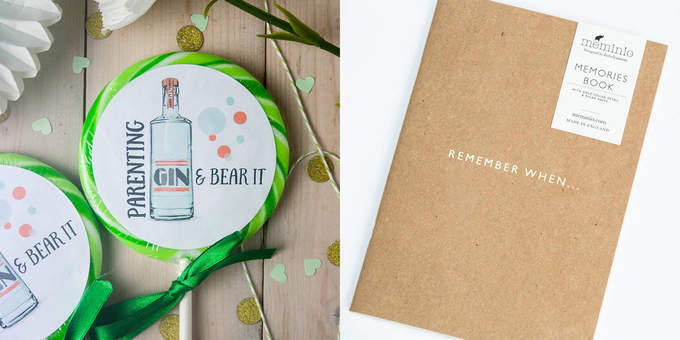 Personalised with a bright ‘Parenting – Gin & Bear It Sticker’. What a fun and tasty gift for all of the gin loving Mums out there! This beautiful notebook will help Mum jot down all of those wonderful memories. Use it to capture special notes to remember in the future. A really lovely gift to keep for years ahead. This would be perfect for a new Mum too, to remember those baby first moments. This It’s in the Bag! tote bag is a fun and quirky bag for the shopaholic. Of premium quality, this tote bag is made from 100% cotton canvas and has long handles so it can easily be carried on the shoulder. Perfect for a shopaholic Mum. “Oh no I have filled my mug with Prosecco instead of coffee again!” It happens to the best of us right?! With added sparkle on the base, this love mug would brighten up any busy mornings. This natural canvas bag is hand printed in the UK. It is perfect for keeping the bits and bobs of a make up loving Mum safe in her handbag. Available in black or cream. In a glass jar and with a fresh, floral scent, who wouldn’t want to celebrate spring with this pretty candle? This travel-sized trio is perfect to slip into a handbag to keep hands soft on-the-go. With three scents to choose from, there’s one for every mood. If your Mum is a keen baker, this lovely little tin would make a super gift. A change from the usual baking tins, everyone needs a mini bundt tin in their life don’t they?! A brilliant addition to any baking cupboard. This assortment of delectable treats is beautifully presented in a cube gift box in a fresh mint hue. Opening to reveal a mouth-watering selection of Holdsworth’s most popular handmade truffles, creams and pralines; this makes a wonderful gift. This fun print from Cartwheels And Conkers is a cute addition to any wall. It’s perfect for adding a bit of life to your children’s room or adding some fun to your living room. Also a good reminder that everyone knows.. Mum is boss! I hope that’s given you some inspiration! You can also send unique, personalised cards to loved ones from Give as you Live and raise up to £1 per card for your chosen charity. 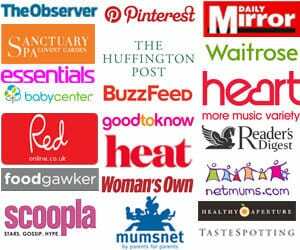 Whether you are a Mum, have a Mum or want to be a Mum, whether the day is full of joy, or perhaps reflection for you, I hope you can have a peaceful day on 25th March and enjoy. Happy Mother’s Day! Disclosure: This post was sponsored by Give as you Live, as always all opinions are genuine and I honestly think this is such a good idea!